Iran's foreign ministry says it welcomes the "halt to killing innocent and defenseless people" in Yemen. Iran's foreign ministry on Tuesday evening said it welcomed a halt to airstrikes in Yemen, Reuters reported. The Iranian statement came after Saudi Arabia announced that the Arab coalition has ended its airstrike campaign against Iran-backed Shiite Houthi rebels. 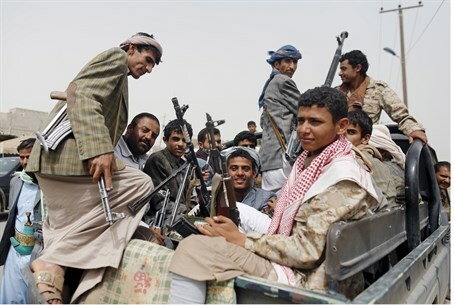 "Before this, we said the crisis in Yemen had no military solution, and ... a halt to killing innocent and defenseless people is absolutely a step forward," ministry spokeswoman Marzieh Afkham was quoted as saying by the semi-official ISNA news agency. After saying the objectives of the operation, dubbed "Operation Decisive Storm," were achieved, a Saudi defense ministry statement announced earlier on Tuesday the launching of "Operation Restoration of Hope" in Yemen. "Operation Decisive Storm" was launched on March 26, and has included a total of 2,415 airstrikes. According to a Saudi defense ministry statement the operation has "succeeded," and has destroyed ballistic missiles belong to the Houthis and militias loyal to deposed President Ali Abdullah Saleh.